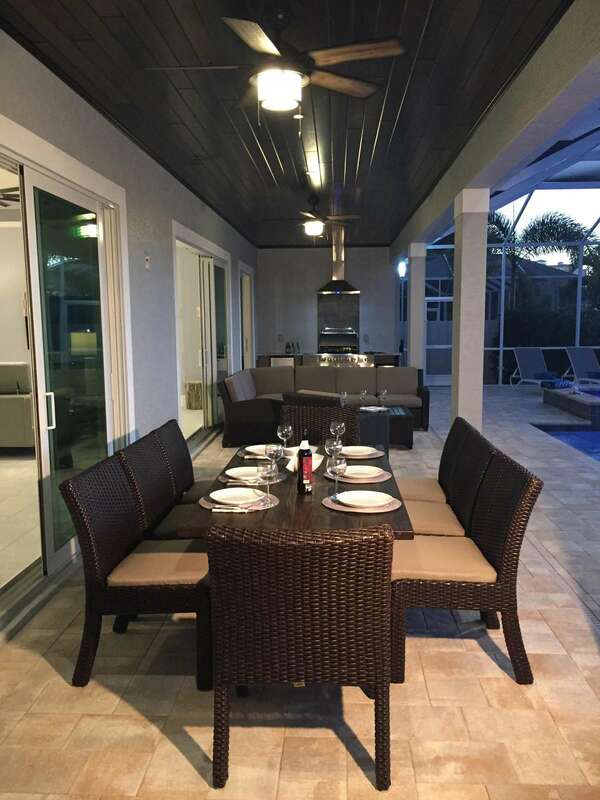 Our Summer Sunset is the perfect vacation rental for anyone who is looking for that little something extra. 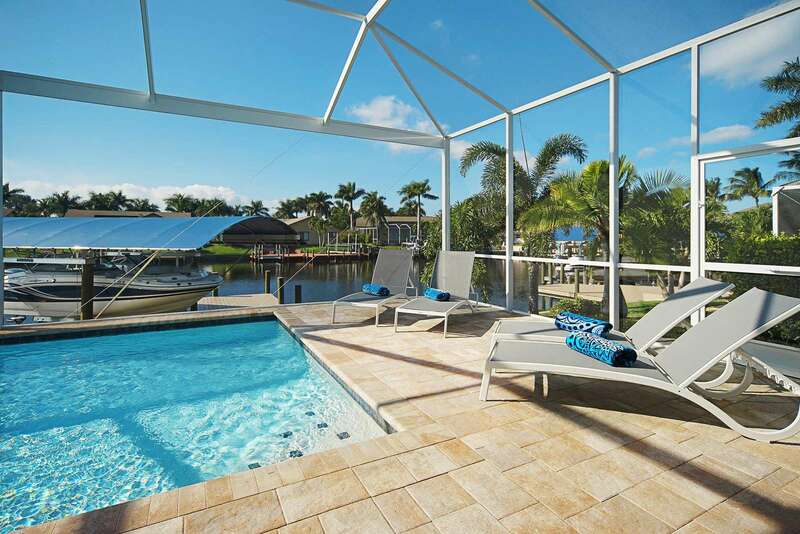 The 2.946 sqft vacation home in Cape Coral has four bedrooms (two master suites), four bathrooms, patio, and a heated pool with spa. 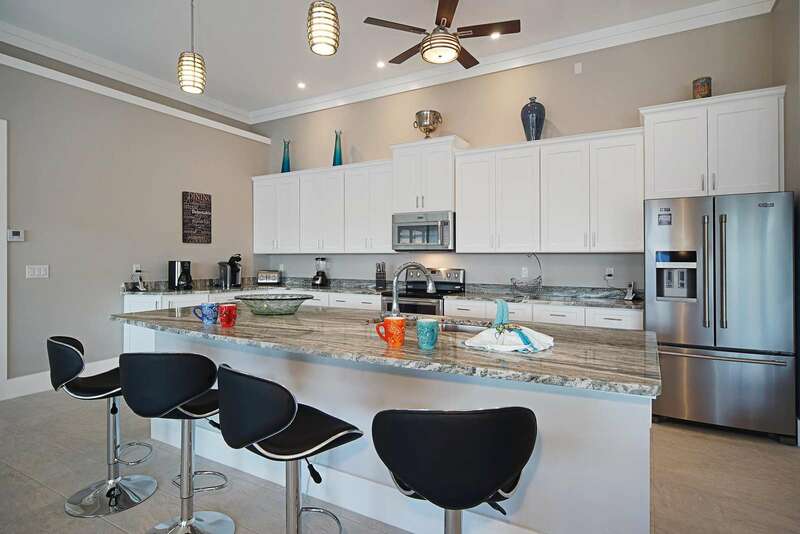 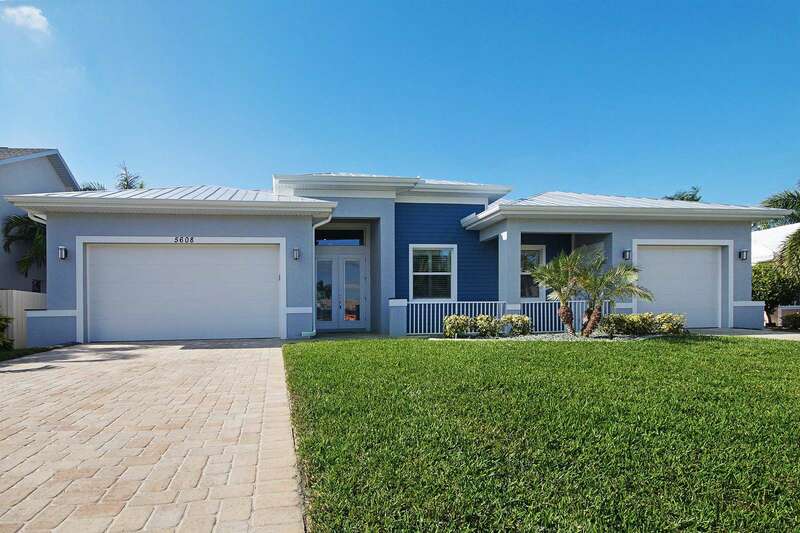 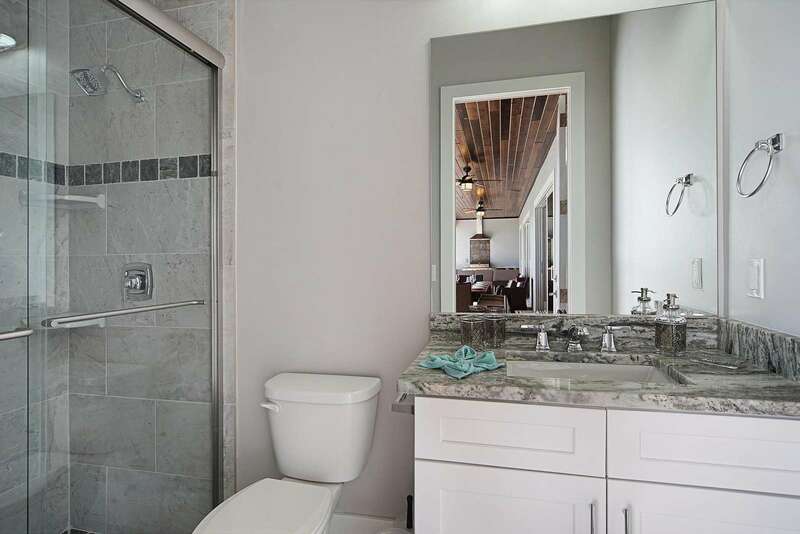 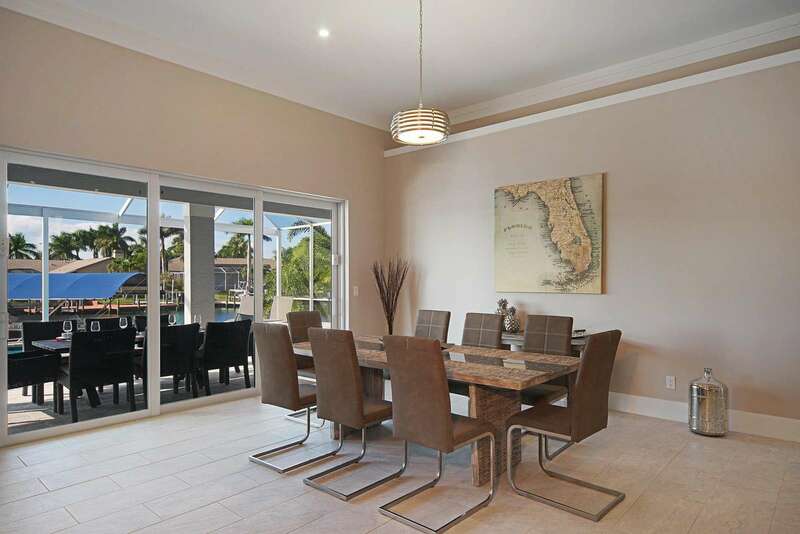 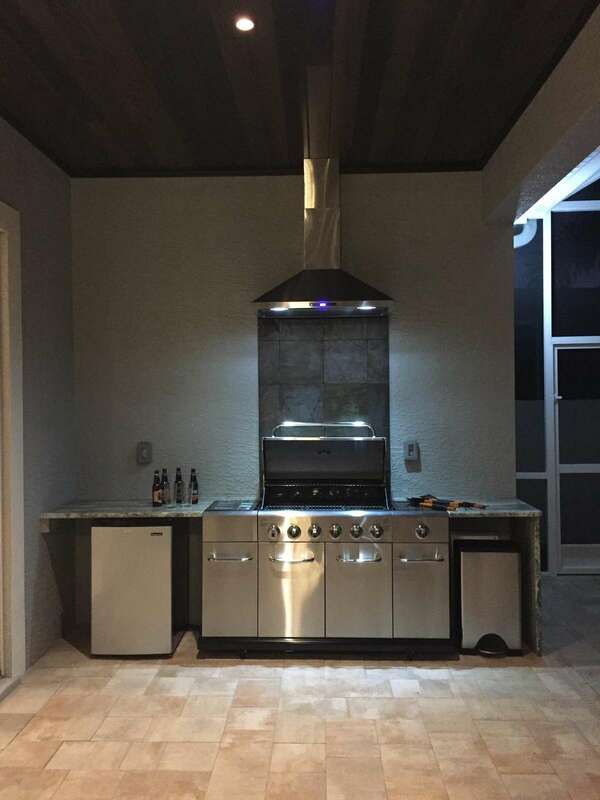 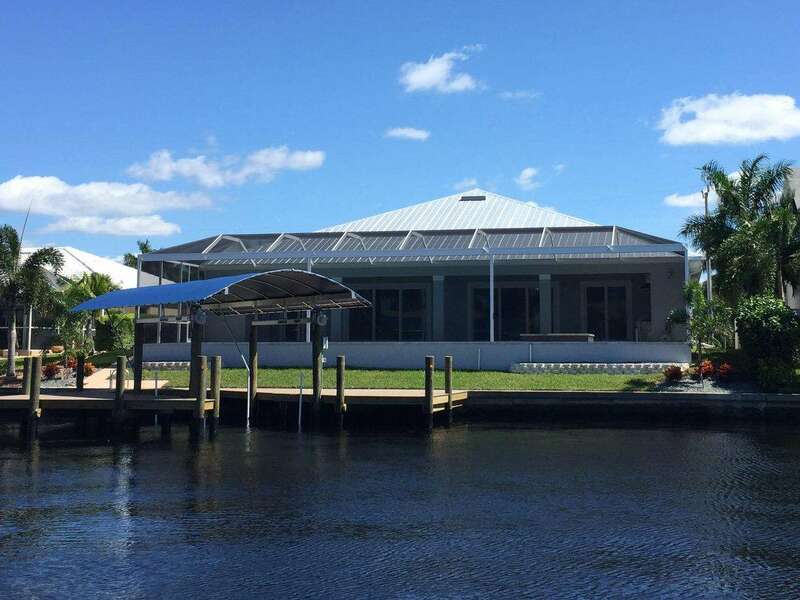 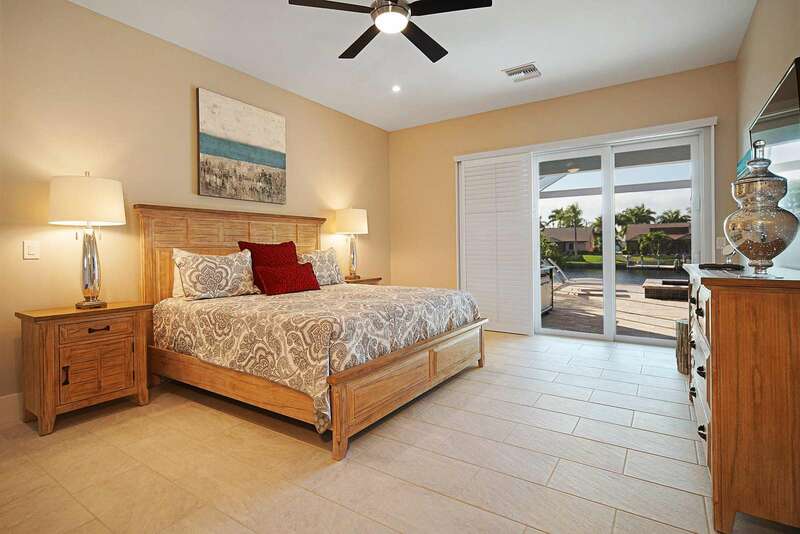 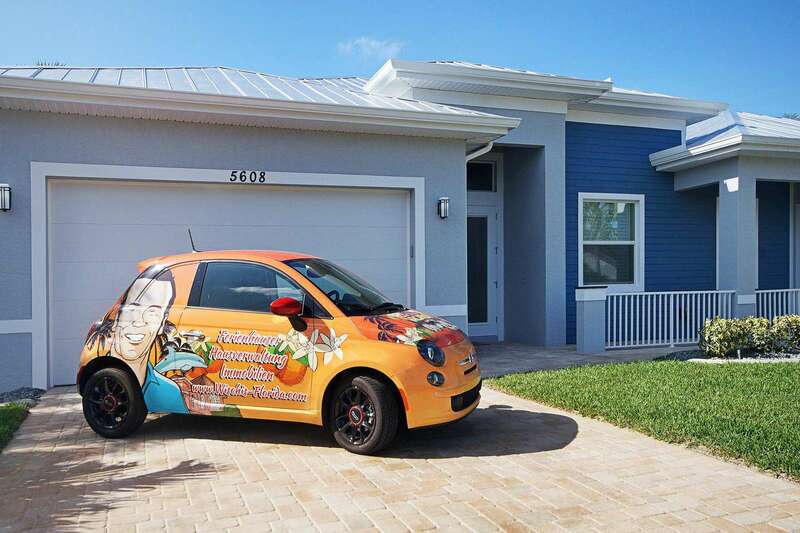 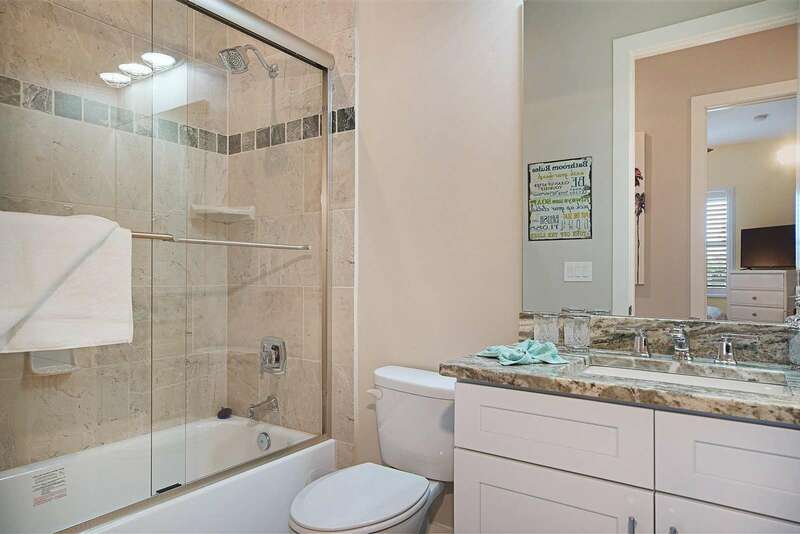 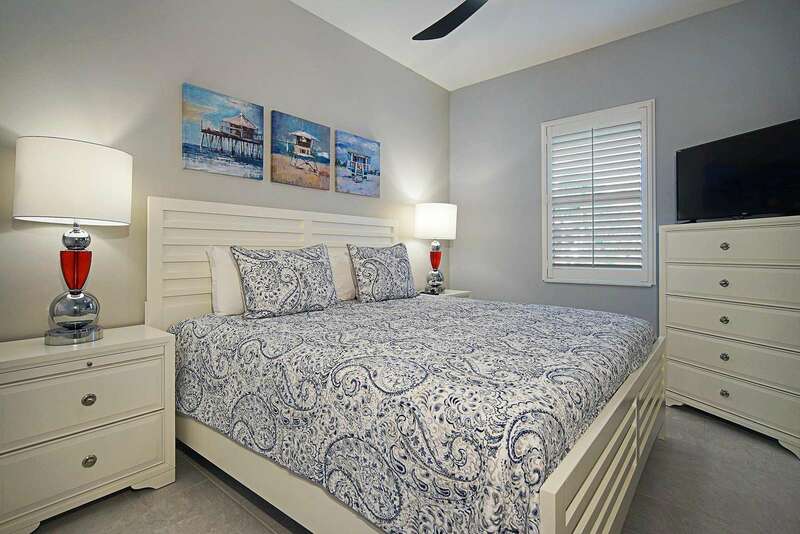 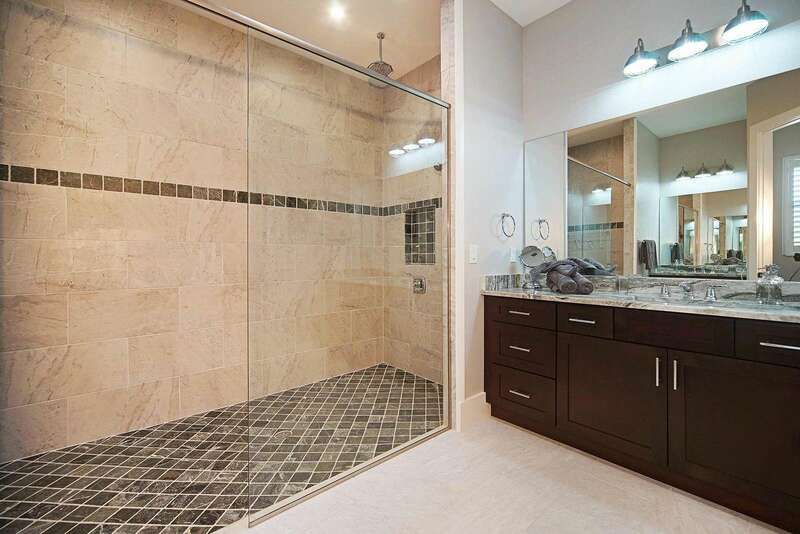 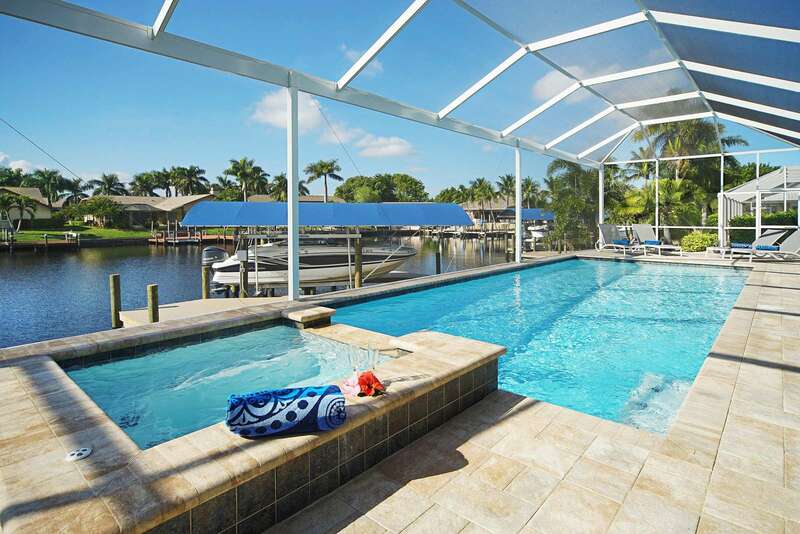 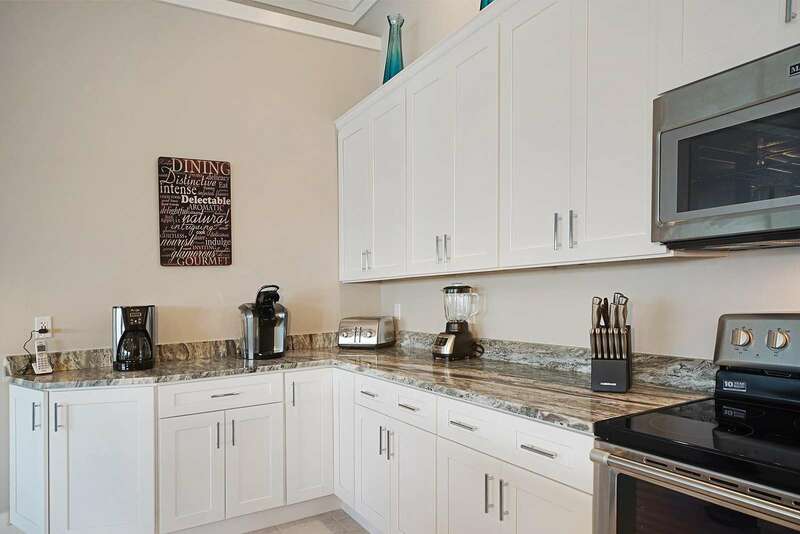 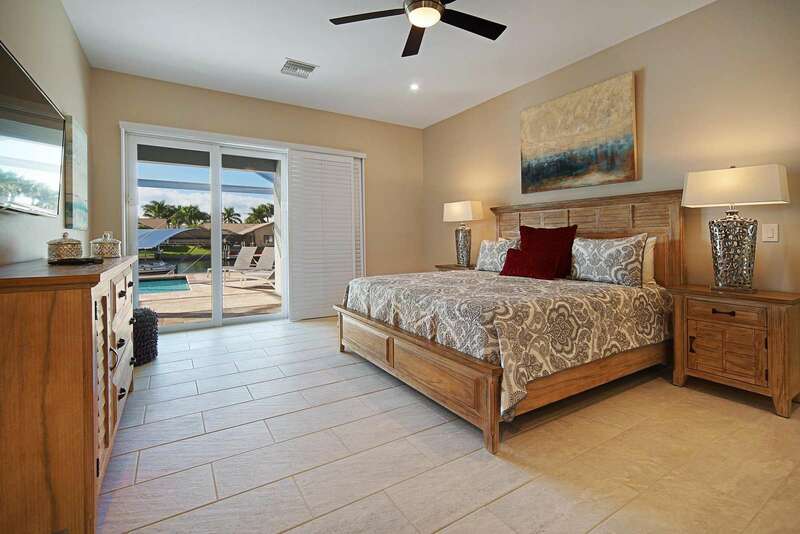 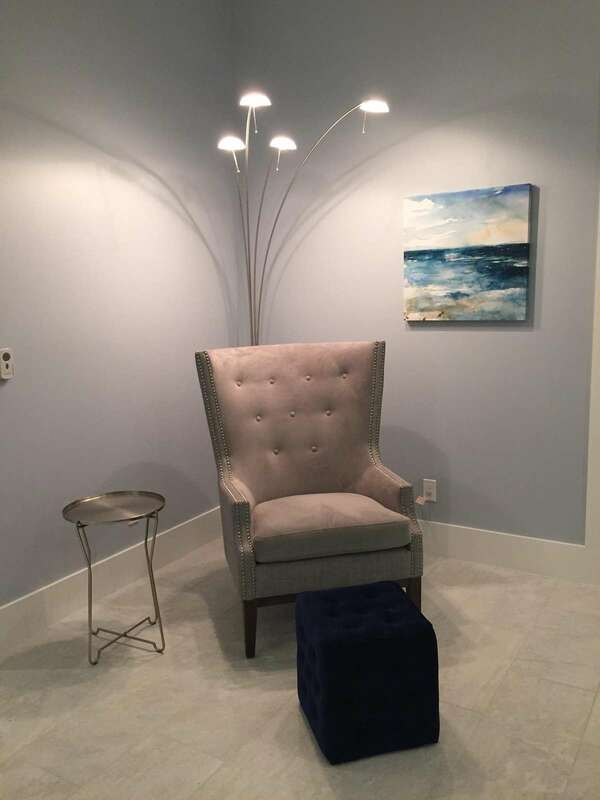 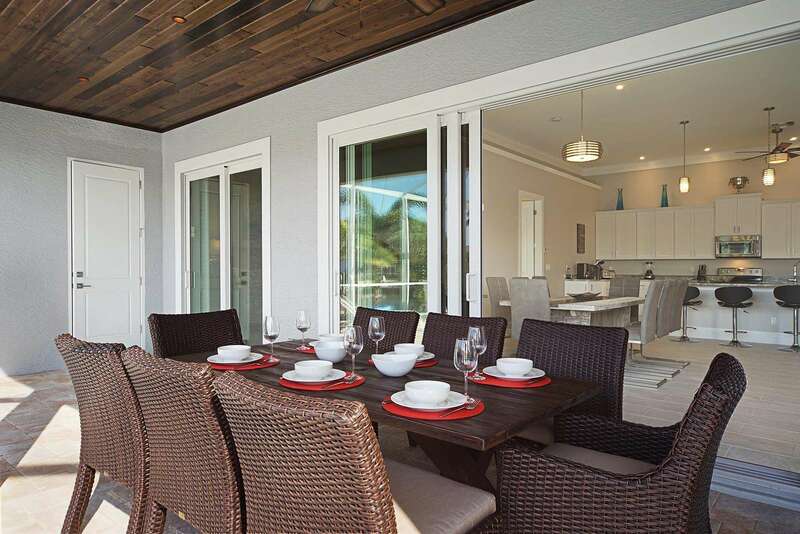 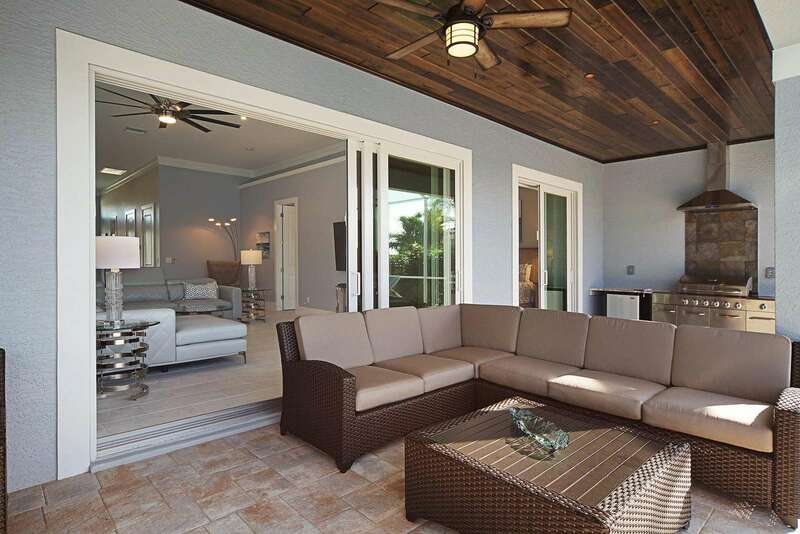 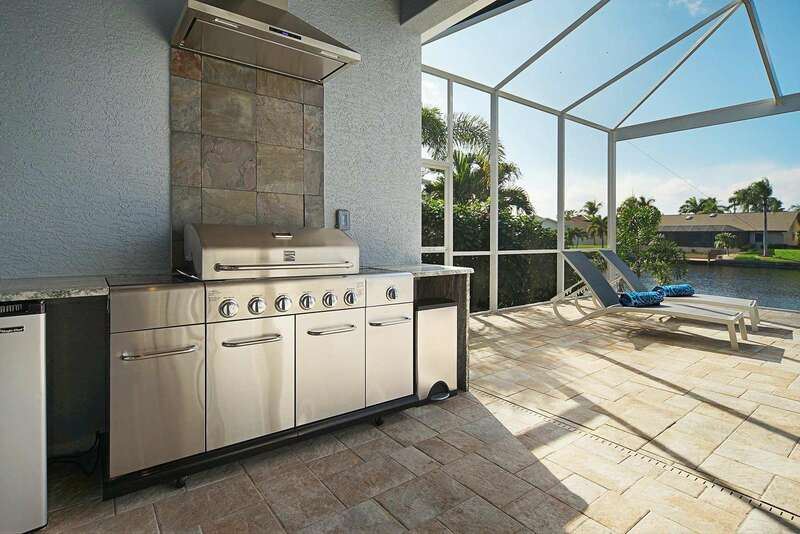 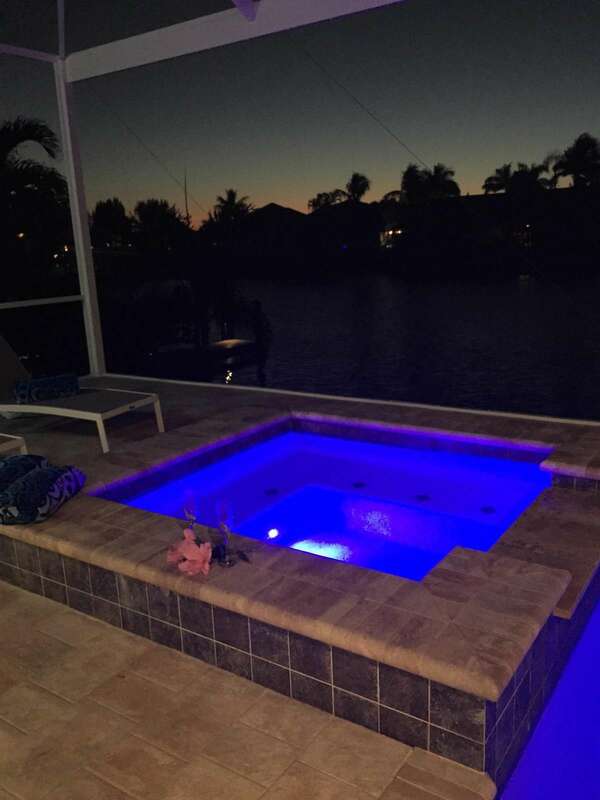 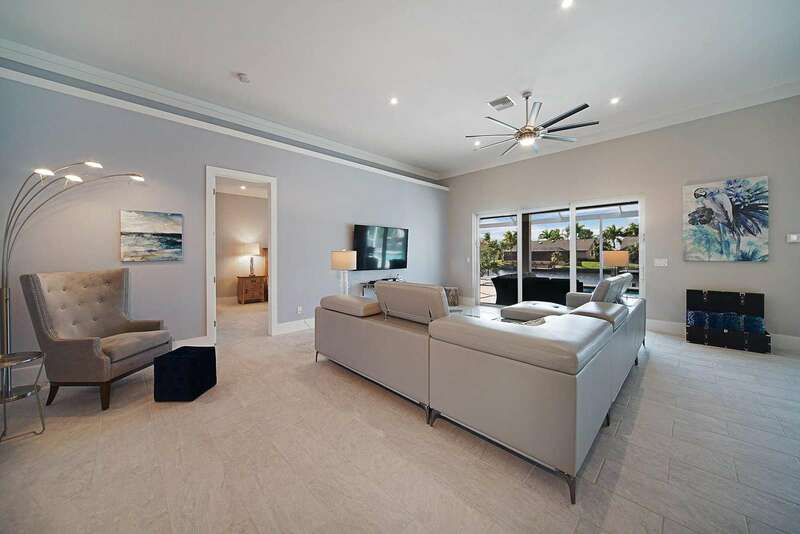 The "Wischis Florida Home - Summer Sunset" vacation home in Cape Coral was built with lots of details in mind, such as USB connectors in the kitchen outlets, energy saving light bulbs all through the house, two energy efficient air conditioning units and much, much more. 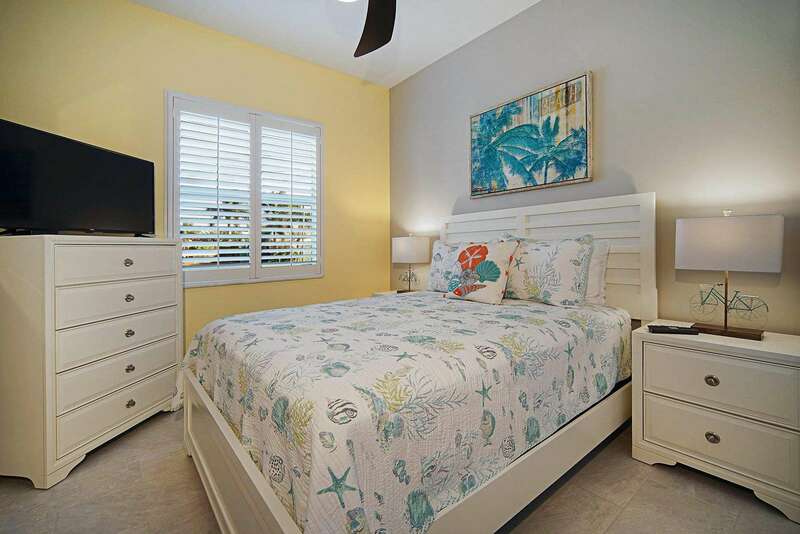 There are two identical size bedrooms with identical en suite bathrooms, plus two other bedrooms sharing one bathroom. 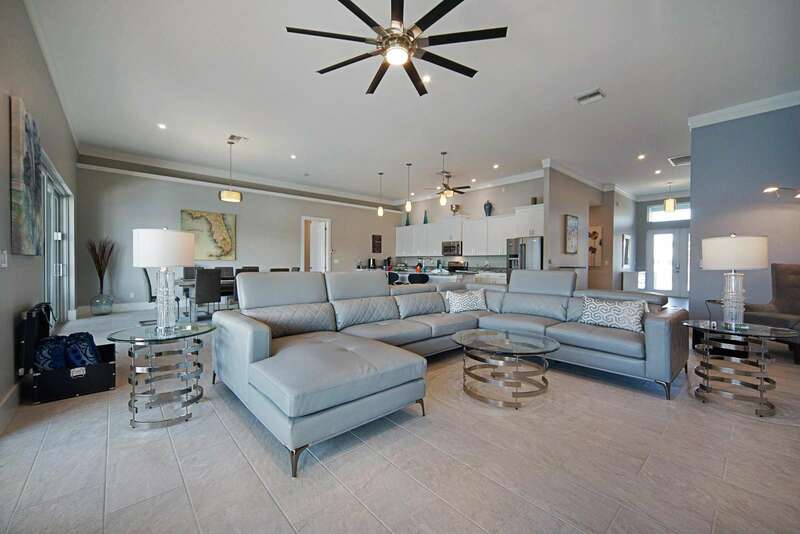 The open concept living, kitchen and dining area lets you enjoy a full view of of the pool area and the canal behind the house. 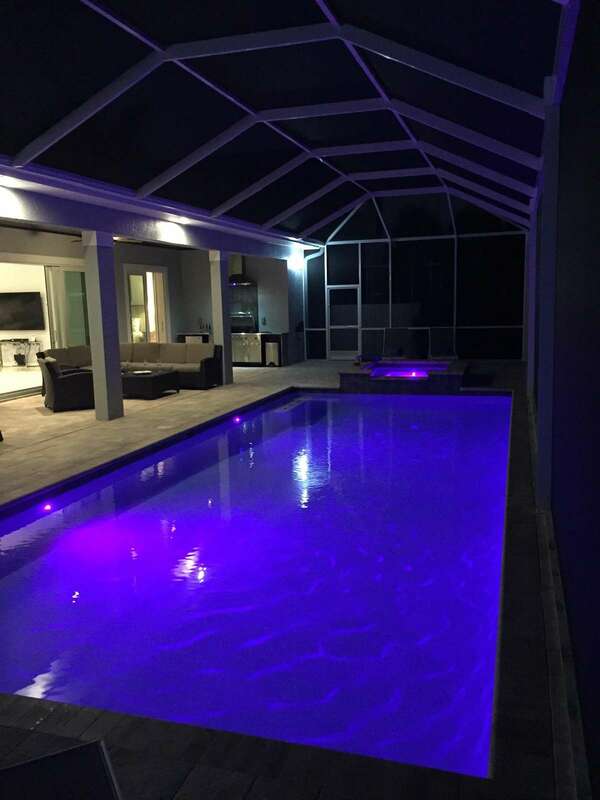 Outside you will love the the oversized pool deck, including the oversized pool with spa, summer kitchen with fridge and grill and different colored lights to illuminate your pool fun after dark. 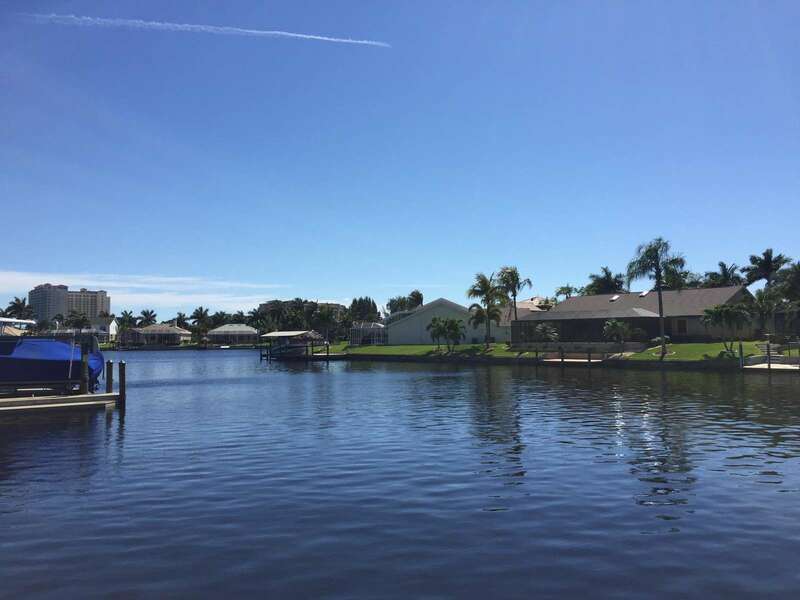 During the winter months it is not unheard off to see a family of manatees swimming in the canal or the occasional dolphin making an appearance. 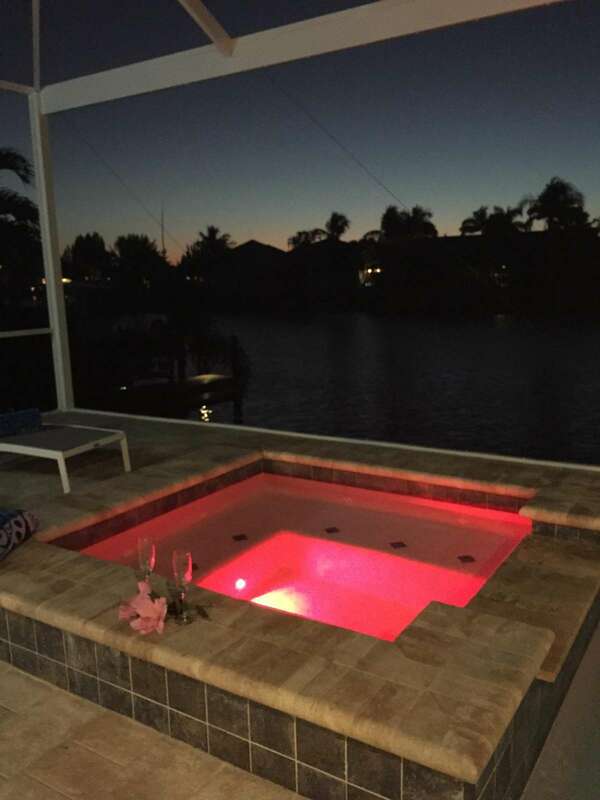 Should you want to travel by boat than this too is easily done. 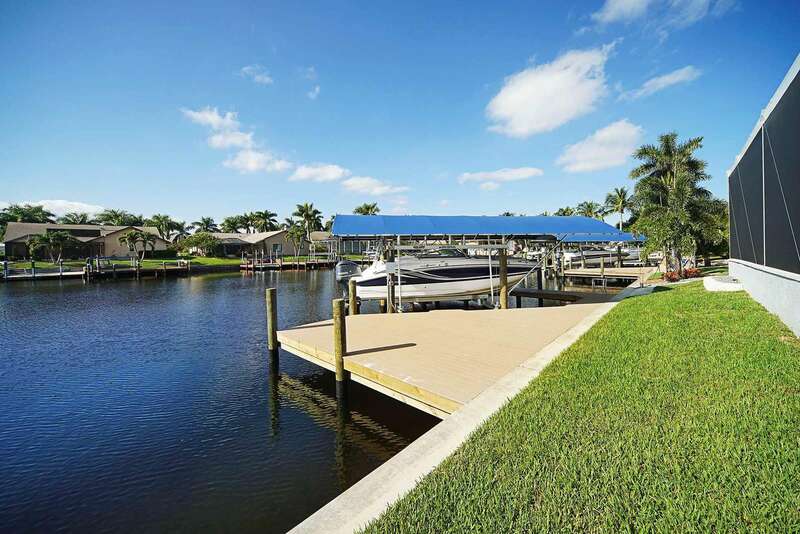 You can dock your boat at your own private boat dock and in just 15 minutes you will be out on the river, taking you to many remote islands and white, sandy beaches.